The Millers Arms is situated in the heart of the city centre, within walking distance of its top tourist attractions. These include the magnificent Canterbury Cathedral, award-winning Canterbury Tales interactive tour, and impressive Marlowe Theatre. There are also several museums and galleries to explore, or why not escape the hustle and bustle with an historic river tour or walk through the beautiful Westgate Gardens. For those in need of retail therapy, Canterbury has an extensive shopping centre, boasting popular High Street names alongside specialist, individual outlets. Boasting award-winning contemporary facilities following a recent £25 million refurbishment, the Marlowe is one of the South East’s premier theatres, offering a varied programme including West End musicals, drama, opera, comedy, dance, ballet and orchestral music. Dating back to the 11th century, it is England’s oldest cathedral and the home of the Archbishop of Canterbury, with a wealth of history and beautiful architecture. It remains one of the most visited places in the country. Experience the sights, sounds and smells of a bygone era in this award-winning recreation of medieval life, as costumed characters enact five of Geoffrey Chaucer’s famous Canterbury Tales. Escape the hustle and bustle of the city centre by taking this multi award-winning guided tour and ferry service through the heart of Canterbury on the River Stour. The historic gardens, located within the city walls of Canterbury, provide a peaceful escape from the bustling shopping centre just a few yards away. Within the gardens are a children’s play area, newly built bandstand and fountain. Kent’s only Roman Museum provides a fascinating and family-friendly insight into life in Roman Britain. 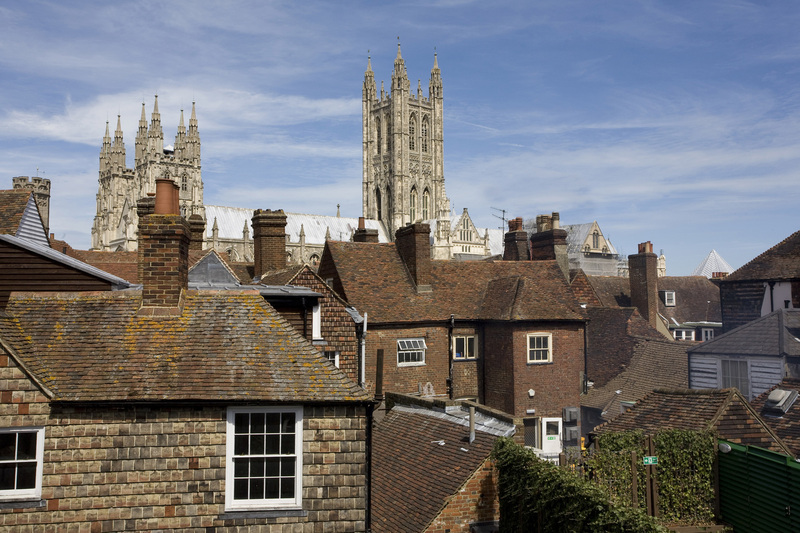 Visitors can explore Canterbury’s history, wander through the marketplace and discover hidden treasures as they step back, and down, to the streets of Roman Canterbury. Enjoy a riverside stroll through the beautiful Westgate Gardens in Canterbury city centre. Visitors with children won’t want to miss Toddlers Cove, a new free outdoor play area. This award-winning art gallery, library and visitor information centre provides state-of-the-art exhibitions, excellent educational facilities and a varied programme of events for all ages. Founded shortly after AD 597 by St Augustine, the abbey was originally created as a burial place for the Anglo-Saxon kings of Kent. Visitors can discover more at the on site museum containing artefacts and stone carvings found during excavations. The young and young at heart won’t want to miss the museum’s exhibitions on childhood favourites Bagpuss and Rupert Bear, which both have links to the city. They are among a huge range of treasures on show, including Anglo-Saxon and Tudor finds, and the ‘Invicta’ steam engine.